There are eight upcoming IPOs this week expected to raise a combined $676 million. This week's IPO calendar picks up after a post-holiday pause in the market. According to Renaissance Capital, a manager of IPO-focused ETFs, none of this week's deals expect to raise over $125 million. That includes three biotechs, two consumer IPOs, one high-growth tech deal, a telecom provider, and a Chinese financial company. Leading this week's new IPOs is Ollie's Bargain Outlet Holdings Inc. (Nasdaq: OLLI). 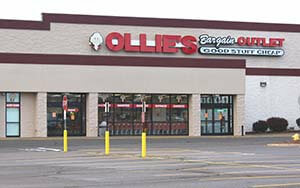 Ollie's Bargain Outlet is a chain of closeout retail stores based in Pennsylvania. The company's 187 U.S. locations sell merchandise obtained from various retailers through either closeouts or bankruptcy sales. They offer brand-name merchandise at up to 70% off other retail store prices. Founded in 1982, Ollie's posted $666 million in sales from April 2014 to April 2015. The chain has strong same-store sales growth and hopes to open up to 30 new locations this year. However, Ollie's has also taken on debt to pay insiders over $150 million over the last two years. It plans to raise $125 million by offering 8.93 million shares at a $13 to $15 price range. 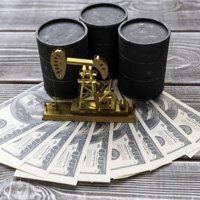 OLLI is valued at $845 million and will debut on Thursday, July 16. ProNAi Therapeutics Inc. (Nasdaq: DNAI) is a Canadian biotech developing cancer treatments based on DNA interference. ProNAi's lead candidate PNT2258 has shown promising results in phase 1 and 2 trials so far and will soon enter a clinical development program. Dicerna Pharmaceuticals Inc. (Nasdaq: DRNA), the last DNA-focused biotech to go public, popped 207% on its first day but is currently down 15% from its offer price. ProNAi Therapeutics is set for a $101 million deal by selling 6.7 million shares at a price range of $14 to $16. It commands a $451 million valuation and will hit the market on Thursday, July 16.